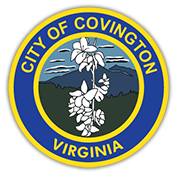 Covington, Virginia; population 5,961 (2010) with an annual operating budget of $17,420,720 (FY19 Adopted General Fund), and a staff of approximately 105 full time & part time employees seeks candidates for the position of City Manager. This position serves as the Chief Administrative Officer (council-manager form of government) of the city, responsible to the Mayor and a 4 member Council for the proper administration of all affairs of the City. The City is a full service local government with an independent school system, public safety, public works, water, wastewater, solid waste, and administrative departments. Covington is located in the Alleghany Highlands and the region is well-known for its exceptional outdoor recreation, including the best mountain biking in Virginia and world-class fly fishing. The ideal candidate will have at least a Bachelor’s Degree in Public or Business Administration or related field (Master’s preferred), with five (5) years of progressively responsible experience as a city manager or assistant in Local Government Management or equivalent combination of education and experience and expertise in local government human resources management, finance and budget, economic development and redevelopment. The successful candidate will also have negotiation skills and expertise in intergovernmental relations. The City is seeking someone who will view Covington as a destination and not a stepping stone. Ideally, the candidate will remain employed at Covington at least five and preferably ten years. The salary ranges for this position is $80,000 - $120,000 with excellent benefits. Send cover letter, resume and five work related references to City Clerk, Gail Wood, City of Covington, 333. W. Locust Street, Covington, VA 24426 or by email at gwood@covington.va.us, by close of business (5:00 PM) April 24, 2019. When positions are available they will be advertised in the local newspaper, Virginian Review and/or the Roanoke Times. Applications for employment may be obtained from the local Workforce Services office (Virginia Employment Commission located at 106 N. Maple Avenue, Covington, VA 24426) or by download from Download Central on our website. The City of Covington is an EEO Employer. The City of Covington's benefit package for fulltime employees consists of Local Choice Health Insurance, Minnesota Life Insurance, VRS, annual leave, sick leave, and holiday pay with additional optional benefits.